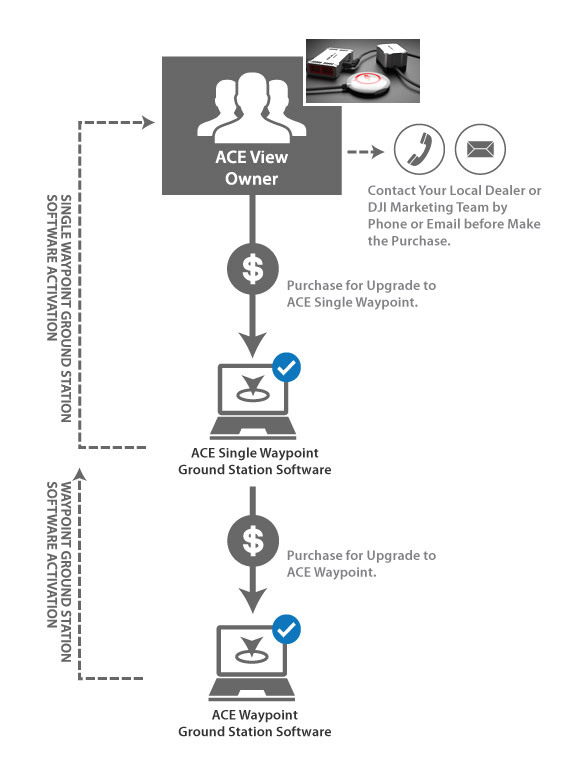 How to upgrade Ace One to Ace Single Waypoint and Ace Waypoint? 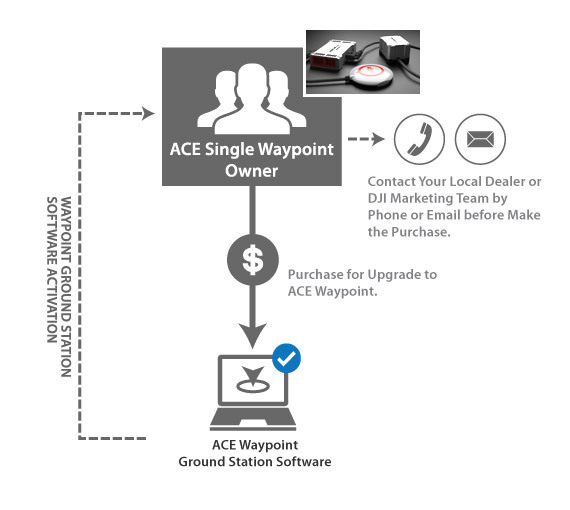 Ace One existing Customers can upgrade their Ace One to more powerful Ace Single Waypoint and even Ace Waypoint. Ace Single Waypoint includes Ace View, Ace Keyboard & Joystick Control and Ace Click & Go. The upgrade path is sequential rather than random. Ace View, including Semi-auto take-off/landing, allows pilots to monitor real-time flight path, altitude, flight attitude, helicopter orientation, servo voltage, throttle and flight mode through the laptop with Google Earth Map Ground Station System installed. It’s applicable to high altitude Aerial Photography requirements in short distance. Ace Keyboard/Joystick Control, including Semi-auto take-off/landing and Ace View, allows you to control helicopters via laptop Keyboard or 3rd-party Joystick except transmitter. The flight distance is improved a lot due to use of data-link. Ace Click & Go, including Semi-auto take-off/landing, Ace View and Ace View Keyboard/Joystick, allows pilots to drag single flight route on ground station screen, assign altitude and flight speed to a single destination. 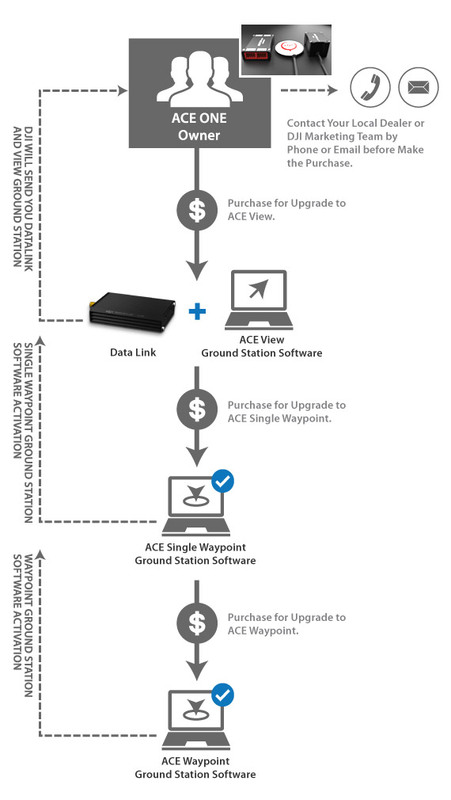 Ace Waypoint is the last step of the upgrade path. * Upgrade Procedure is simple, power and connect main controller to assistant software in your computer. You can find the Hardware ID through “About” and ”Info” via assistant software and offer the ID to local dealer. Then you can get a new Serial Number to upgrade new functions from local dealer or DJI. The upgrade needs additional charge.